Breed/Mix: Pointer x Husky x Greyhound (or maybe saluki). Without records this is a best estimate with input from vets. Coat - single/double: Single – very much like a Pointer coat. Likes: He LOVES most people, most dogs, kitties, chasing birds, finding bones in the forest, RUNNING, learning new things, playing, his Chuck-it ball, forest agility, squeaky toys, the list goes on! Dislikes: He gets upset when people or dogs are upset. He dislikes the pain in his tail and back legs. He hates cold wind and extreme heat. Sleeping locations: in the day, If the weather is good he has a dog bed and couch outside. Indoors he chooses from the same nighttime assortment. at night, Rotates between dog beds, couch, floor and human bed. Off-leash time: Tons. He loves to run on the beach and in the forest. We find as many new places as possible and also visit his favorites. Escaped or lost? : He was AWOL once for about an hour, but otherwise he loves being with his people so he stays pretty close. Reportedly there are three others working. Medical conditions: When he was adopted It was believed that he had behavioural issues (OCD tail chasing) but it was later determined that he had suffered an injury before he was surrendered and we are still working to overcome his associated pain and behaviours. Currently, Yes – he has medical issues with his back end, specifically two places on his tail. After extensive testing and diagnosis, we are treating his associated pain, providing physical therapy, and working to relieve his anxiety and tail chasing behaviours. When his pain is bad, he tries to bites his tail and chews his back end. As long as his pain is managed and he has daily exercise and a good diet, he only has minor tailchasing. Spayed/Neutered at adoption: Yes, Victoria Humane Society neutered him before adopting him out. 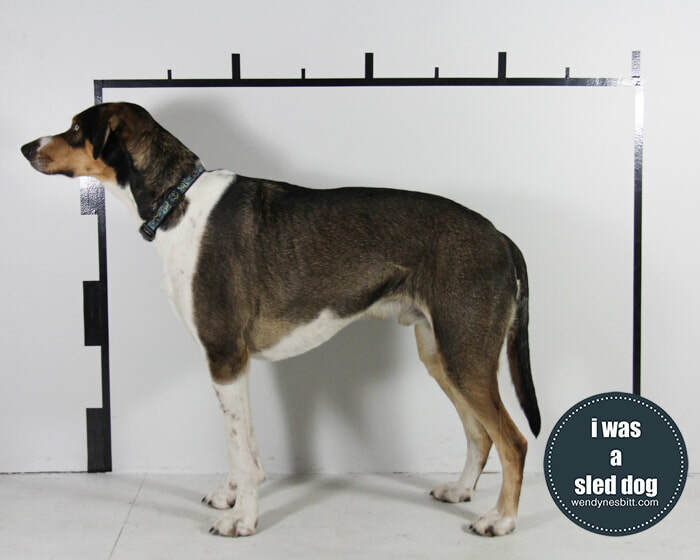 Known history: He was bred and born to be a working sled dog in a large commercial kennel in Whistler. Both of his parents were/are working sled dogs. He was surrendered at 7 months due to “OCD tailchasing”. As such he was surrendered before he was trained or worked. Anything else you'd like to add: Kismet is incredibly sensitive to people and dogs, and always seems to know how to relate with everyone he meets. He’s brilliant, loving, and so fun – we are so thankful to have him in our lives!. Kizzy is a big boy. A big, silly, funny, smart, giant-pawed boy. He travelled a long way to come participate in this project and I'm so thankful. First, because he learned something new at the session... how to jump up on someone [me] for treats! 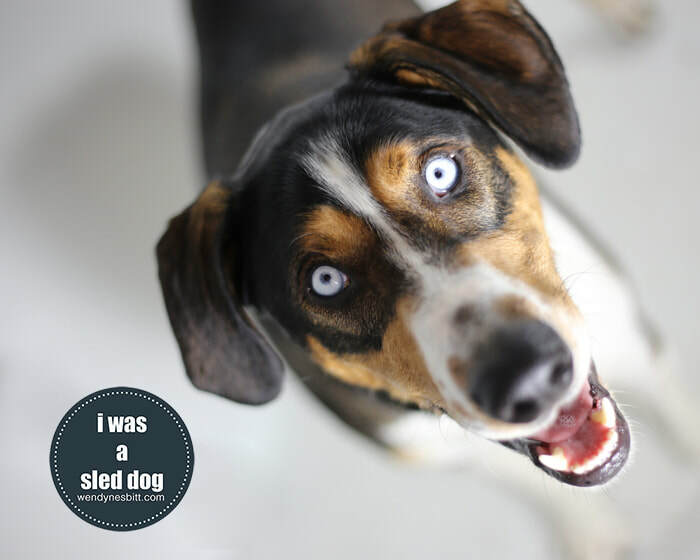 [his mom is super pleased with that one I'm sure ;)] but more importantly, although he didn't ever pull a sled, he's a product of sled dog lineage and at first look, one wouldn't guess that's his 'breed''. This guy was super cool the whole session and came with his sleddie buddy, Knik [coming up next] for moral support. After the session we met up with some other local sleddies for a walk in the park.